The camera-less photographic images in my most recent series, Water Flow: Under the Colorado River, capture the essence of water from below the surface on one of the most important rivers in the United States. The concept of water quality in the Southwestern United States, and the inherent alchemy that occurs as a result of it, are the foundation of my current work. 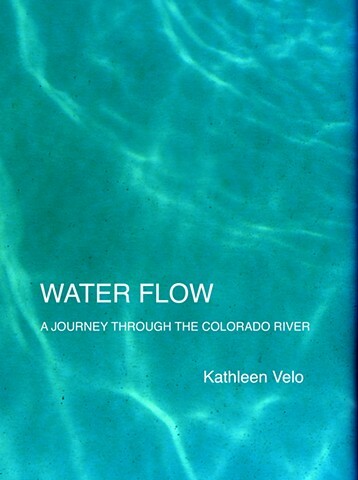 The Colorado River is a direct water source of my most recent work. To make the images I go into the water, long after dark, and submerge color photographic paper. At the right moment, the paper is briefly exposed to a light source while underwater, to create a photogram of the water contents and movement. The alchemy of photographic emulsion combined with the minerals, salts, pollutants, and other elements in the water create a unique documentation of water contents. This rare perspective of under the surface of water creates beautiful and poetic meditations on water, as the force of life.